Join us July 18-28 for the 36th edition of North Carolina’s Official International Folk Festival! Folkmoot 2019 includes shows in Waynesville, Clyde, Canton, Lake Junaluska, Cherokee, Asheville, Hendersonville, and Hickory. Along with our legacy festival, we are introducing several new events, including the Mootenanny, Cherokee World Games and Folkmalt! 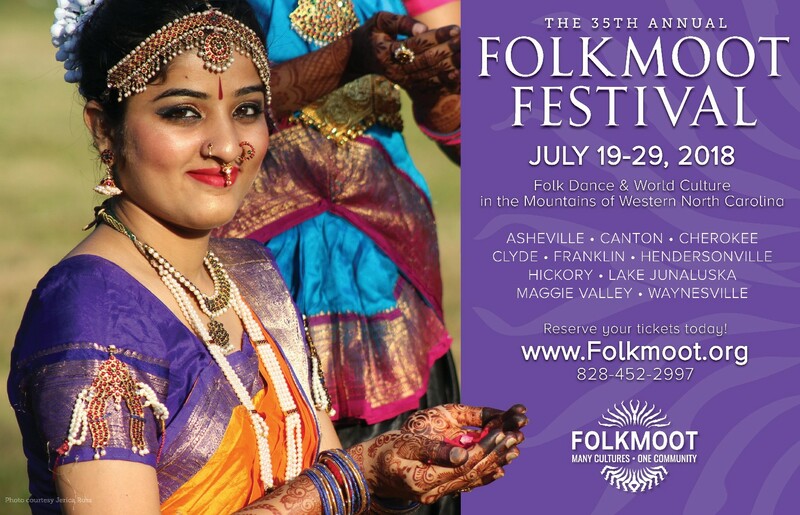 Folkmoot is, without question, the Smoky Mountains’ biggest party of the summer! The full 2019 festival schedule is coming soon! Please call 828-452-2997 for more information about Folkmoot 2019.